Let’s face it. Remembering a strong password for one website can be hard enough. But when you have 10, 15 or more to remember in order to keep your sensitive data safe, it can get tricky. Password managers are a great way to save you time and reduce the chaos in your password jungle. That you need strong, secure passwords for your social media, banking and other accounts to keep your data safe, is common sense. However, as the number of pages and apps requiring a password increases, it can also become increasingly difficult to remember your login details and to keep coming up with new unique passwords that will protect your data. Password managers are a secure way to avoid unwanted access to your accounts from third parties. They make it easier to organise and control your accounts and harder for hackers to get in. You simply create one master password for your password manager which then acts as a vault to secure your identity. Password managers store all your individual user IDs and passwords in a secure place. Whenever you log into your password manager, it will automatically fill in your usernames and passwords when you visit a website or app. Most managers also create strong and complex passwords for you, they detect weak passwords and can automatically change these. The main advantage? 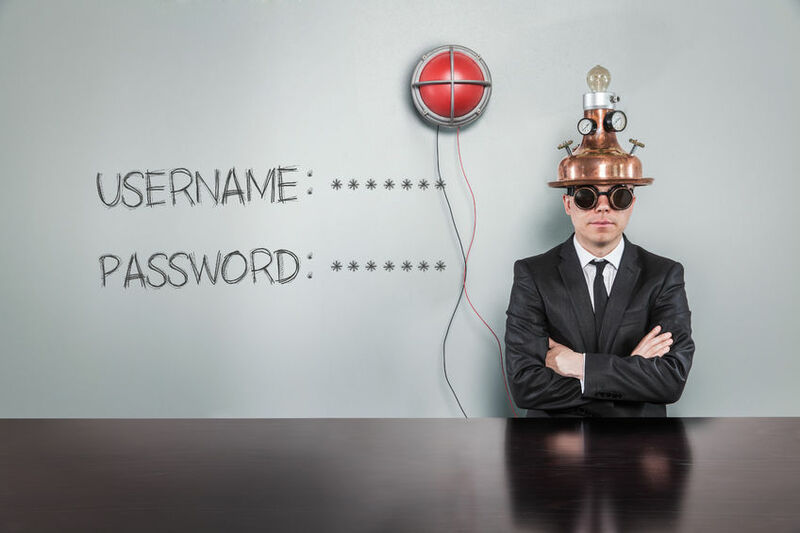 Rather than trying to memorize hundreds of complex passwords, all you need to focus on is one. Depending on the password manager you use, your sensitive data is either stored in a cloud or as encrypted info on your hard drive. As with anything, there is a certain risk involved. If someone manages to hack into your password manager, they gain access to everything at once. Hackers can also attack the company that hosts the main vault storing millions of accounts. In case of a security breach all of those accounts would be compromised. However, unlike ordinary websites and apps you are using on a daily base, password managers usually operate with a range of multi-level authentication processes. For example, in addition to the master password you would also need to supply a code which is linked to one of your devices. Unless someone actually physically gets a hold of that device, your master password is safe. We have compiled a list of the top 3 password managers, briefly explaining the way they work and the cost involved. For only US$3 per month you get an all-rounder; protecting your accounts, making shopping safer and remaining anonymous online. Blur lets you create single use credit cards to protect your finances, it creates unlimited strong passwords for all your accounts and even masks your emails so you never have to reveal your identity online. There is a free version available with limited functions. The free version generates and stores unlimited logins and offers secure storage for text notes. Your data is stored in an online vault which you can access from any internet-connected device. In addition, the premium version (US$2 per month) lets you store files more safely and has an emergency plan in place so your family can access your accounts should something happen to you. Probably the best free password manager on the market at the moment, Dashlane supports seven languages and can automatically change passwords for up to 500 websites. It automatically saves and fills in passwords, personal information and payment details when you use websites or apps and also generates strong passwords for you. If password managers aren’t for you or if you want to use a more traditional method to store your passwords, there is always the good old pen and paper. Have a book designated for all your important passwords and login details. This will also help you track repetitive or similar passwords and stay up to date with password changes you make. Make sure you find a secure place to store this book to avoid unwanted access to your data!